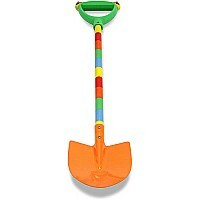 Plant a flower or dig for treasure with this colorful, child-size metal shovel. With a brightly painted wooden shaft and an easy-clean handle, your child will "dig" this kid-friendly shovel. 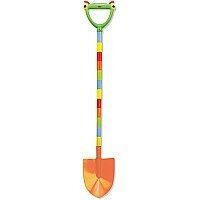 Measures approximately: 32.10 x 5.70 x 2.55 inches..